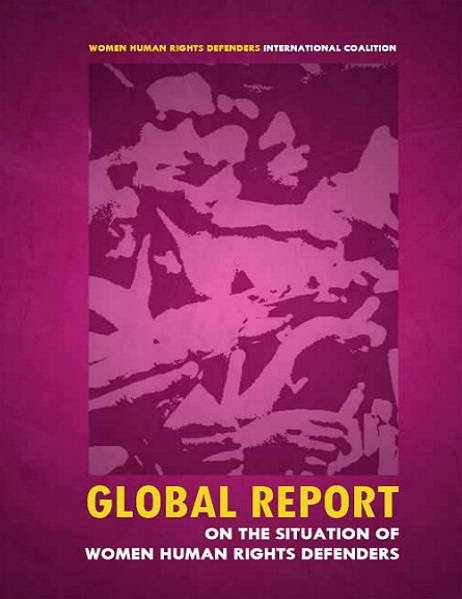 The WHRD International Coalition has published the Global Report on the Situation of WHRDs to advance the recognition of WHRDs, the violence and violations of rights that they face, and the contexts that enable these violations. 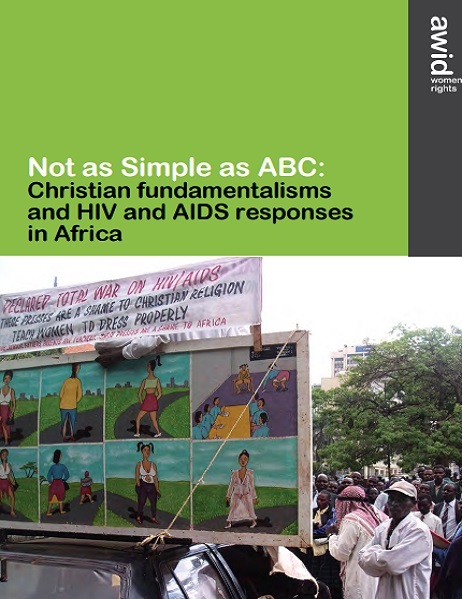 This case study explores the agendas, strategies, and influence of Christian fundamentalist actors in HIV and AIDS responses in the African region. These preliminary research results derive from the 2011 AWID Global Survey, which was completed by 1,119 women’s organizations from over 140 countries. This document was prepared as a guide to the sessions relating to development cooperation at the 12th AWID International Forum in Istanbul, Turkey, 19-22 April 2012. This collection of articles aims to provoke further analysis on other ways to think about development and organization of the economy. This primer provides a definition of microcredit, situates the tool both historically and within present debates on development and economics and finally discusses its impact on particular groups of women. 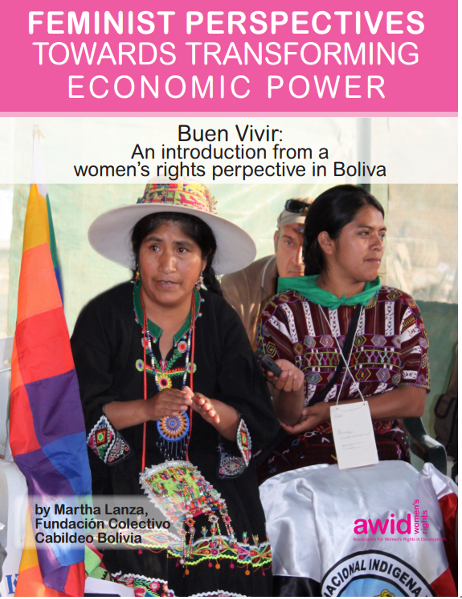 This article introduces Buen Vivir both as a gender neutral concept and examines its implementation in public policies in Bolivia. 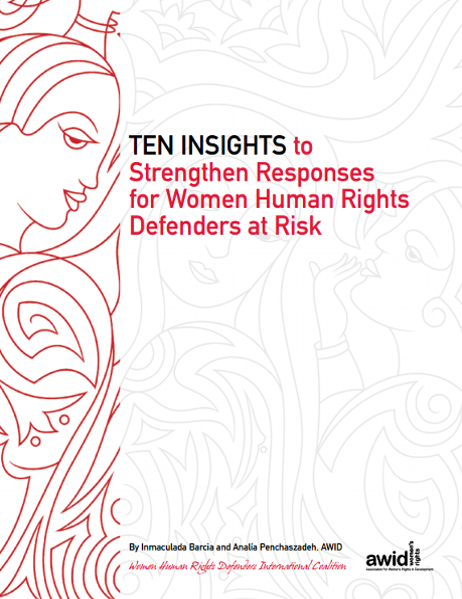 The 10 insights presented in this publication provide the key considerations for strengthening responses for Women Human Rights Defenders (WHRDs) at risk by ensuring that they are strategic and properly resourced.